Architectural studio Atelier About Architecture created a house for client and his dog that has a congenital hip joint disease. 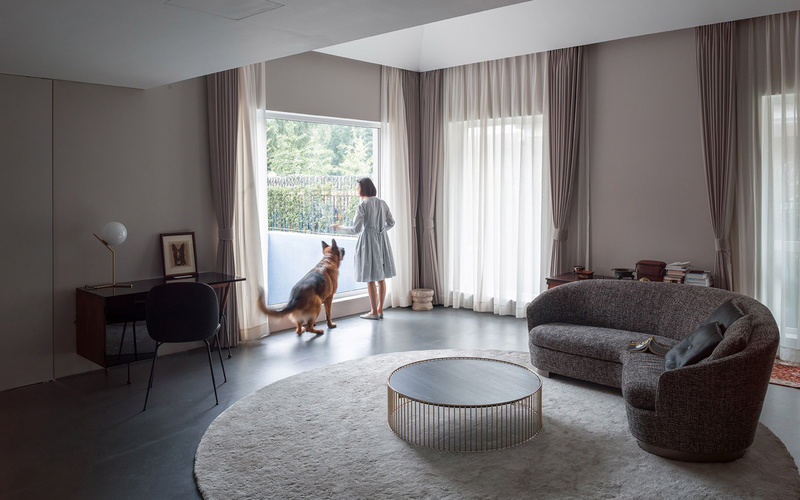 The colors, layout, furniture and decoration materials of this Beijing home were designed to satisfy the needs of the dog for medical care and a good life. 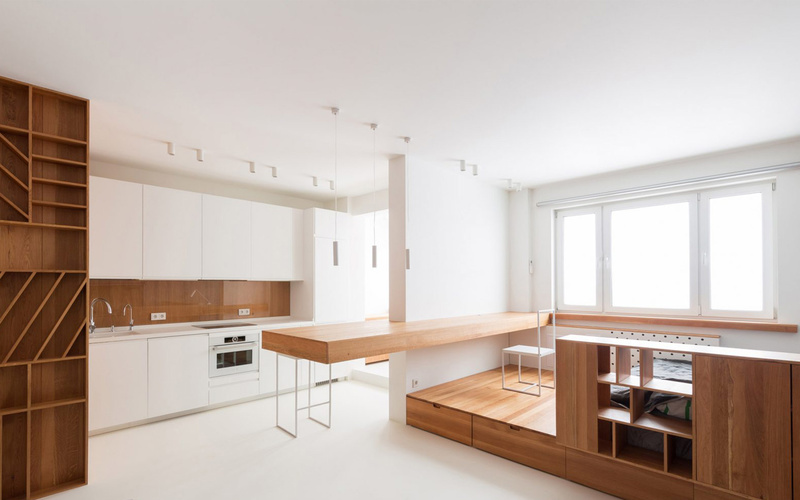 On the first floor there is a common space – a kitchen, a dining room and a living room. On the second floor there is a bedroom and an entertainment area. The main space of the dog, where there are two bathrooms and a play area, is the basement of the house. It was designed with soft floor, ramps and stairs, and is covered with the waterproof non-slip coating. According to authoritative studies of recent years, dogs can recognize yellow, blue and transient color segments between them in the color spectrum. Therefore, colors and lighting schemes were chosen taking into account the comfort of the dog. 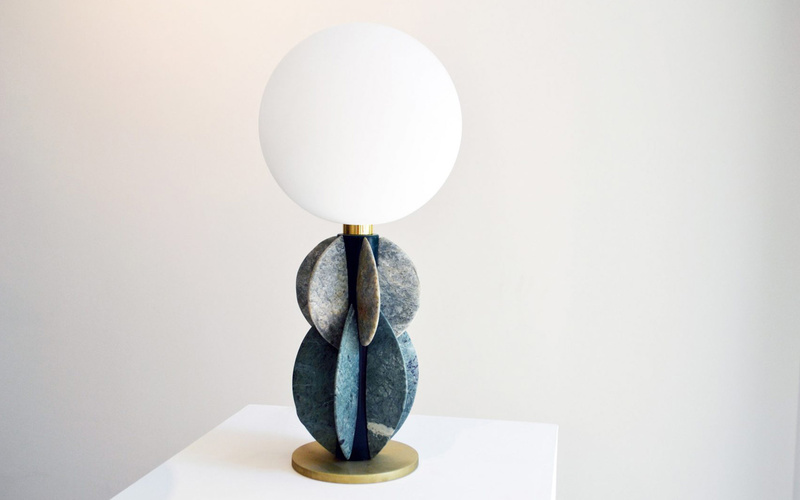 French-Lebanese designer Carla Baz at the Beirut Design Week presented a series of tables and lamps made of marble. 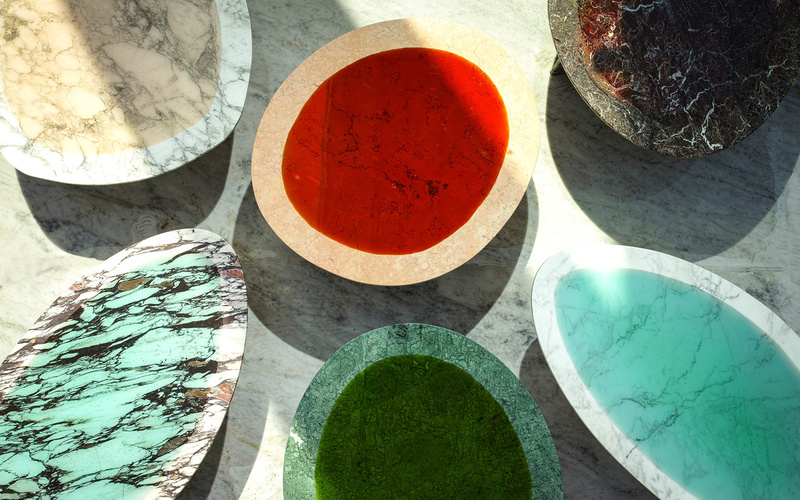 For her collection Stratagems, which includes thirteen pieces of furniture, Carla Baz used fifteen different types of marble, one of which is semiprecious. 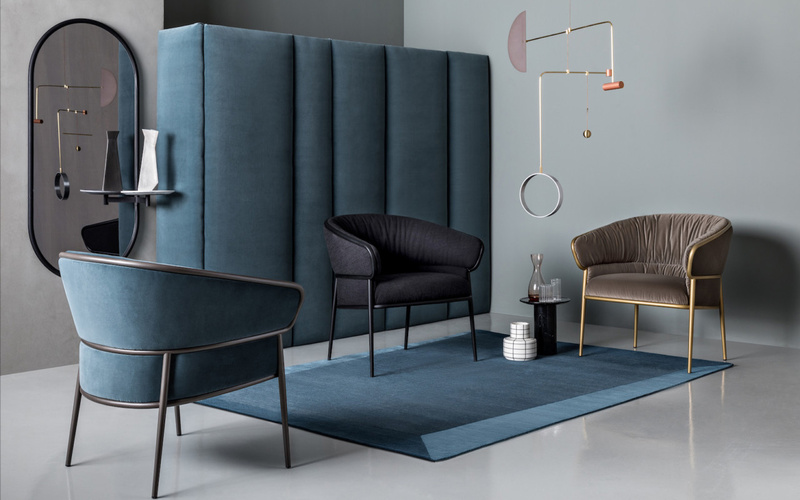 The series of six tables has an oval shape. 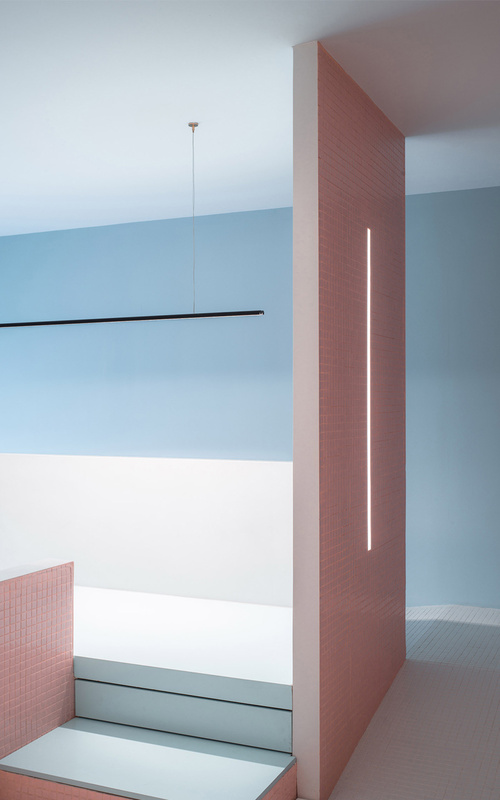 And the effect of the colored surface, through which the natural stone pattern is visible, is achieved by removing two millimeters of marble from the hydroabrasive machine and filling the resulting grooves with resin. 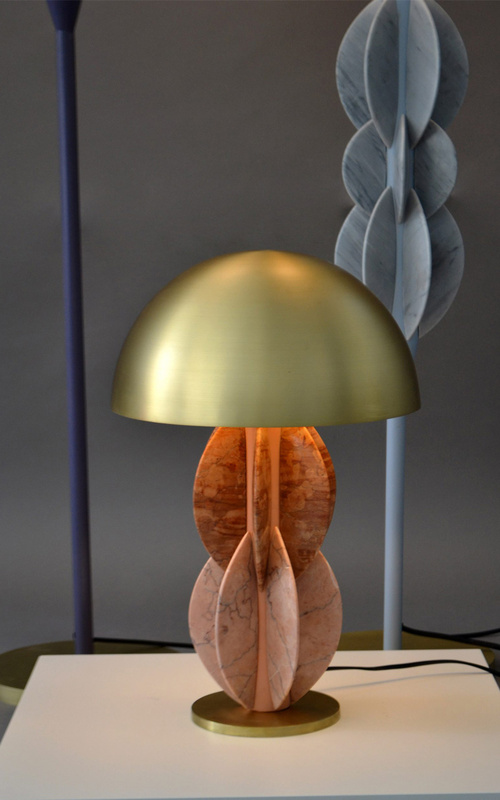 The series of lamps has a brass base, and semicircular disks of marble are installed on a steel carcass, which creates the shape of a flower. 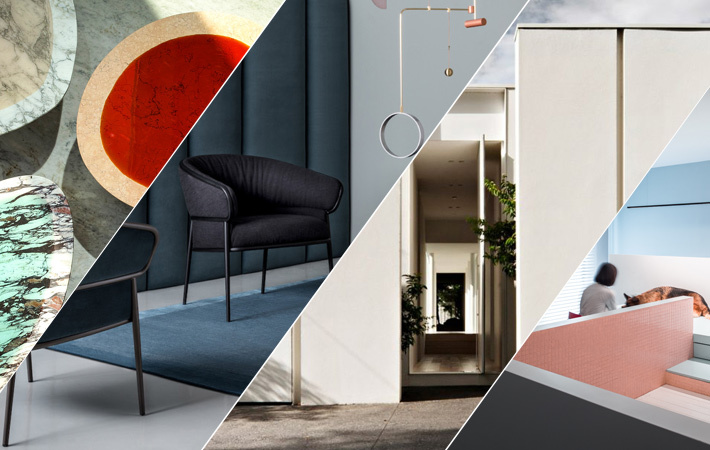 London-based industrial designer Tim Rundle created a collection of ten pieces of furniture for the Australian brand SP01. 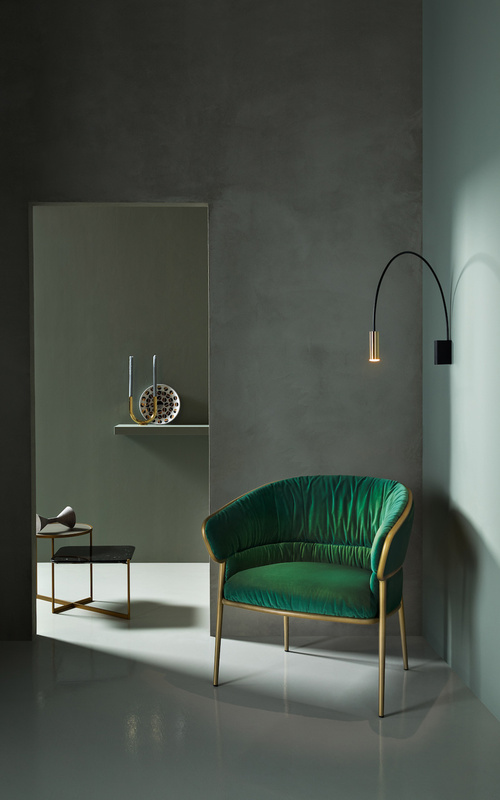 The sources of inspiration for each pieces were elements from different cultures and epochs. 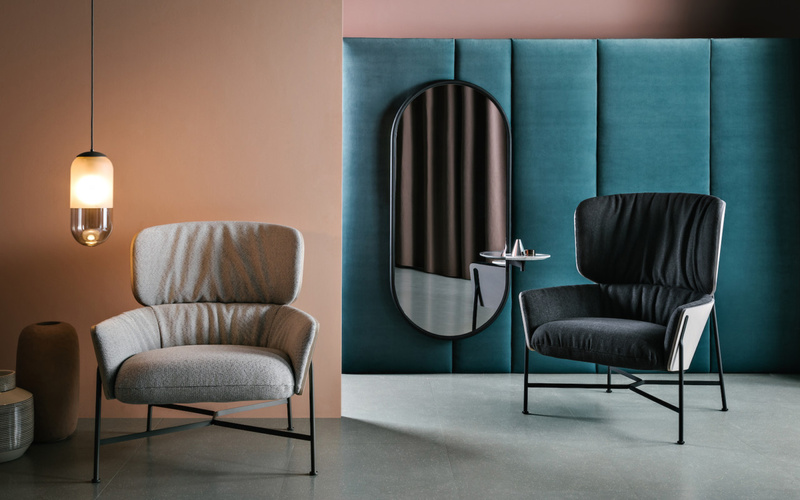 The collection, which includes armchairs, coffee tables and mirrors, is complex, glamorous and young, largely due to the skill of Tim Rundle to use industrial tubular steel together with jewel-toned velvet and classic marble. 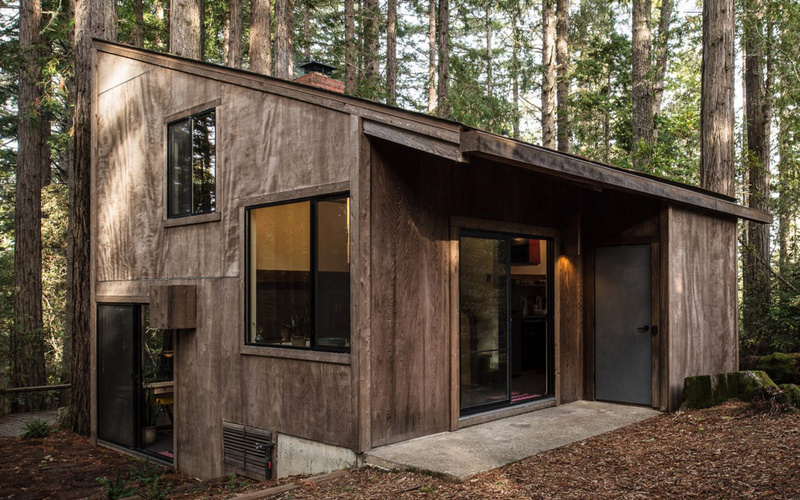 A team of architects and designers from Framestudio repaired a small sixty-three square meter house in the San Francisco Bay Area in California’s Sonoma County. The house was built in one thousand nine hundred and sixty eight by the American architect Joseph Escherik as a model for low-cost holiday housing. Framestudio tried to keep the layout of the house in its original condition. 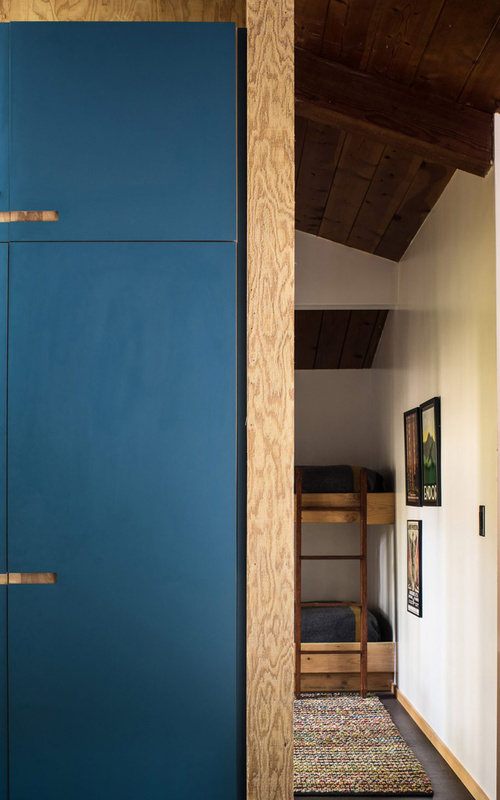 They managed to create in a small area a fully equipped kitchen, new storage space, and also accommodate six beds. The ventilation system and wooden elements of that time were restored. 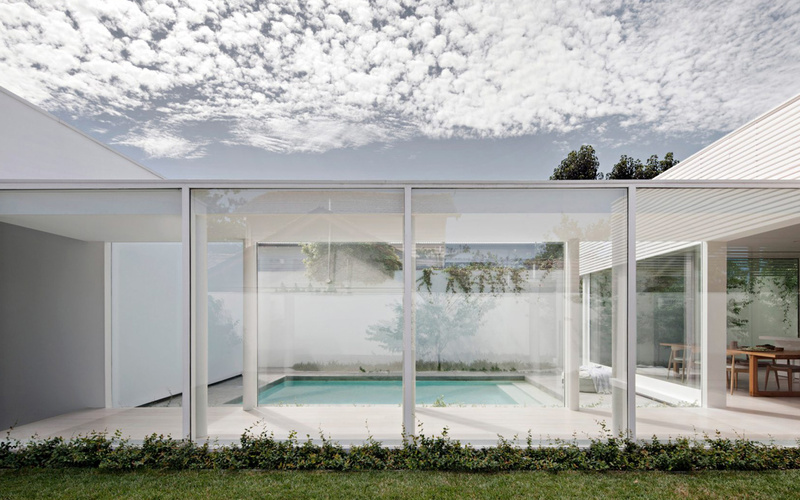 Architects and designers of Studio Four from Melbourne created an entirely white house inside which they placed a garden to give great importance to the landscape and open spaces. The house is divided into two wings. 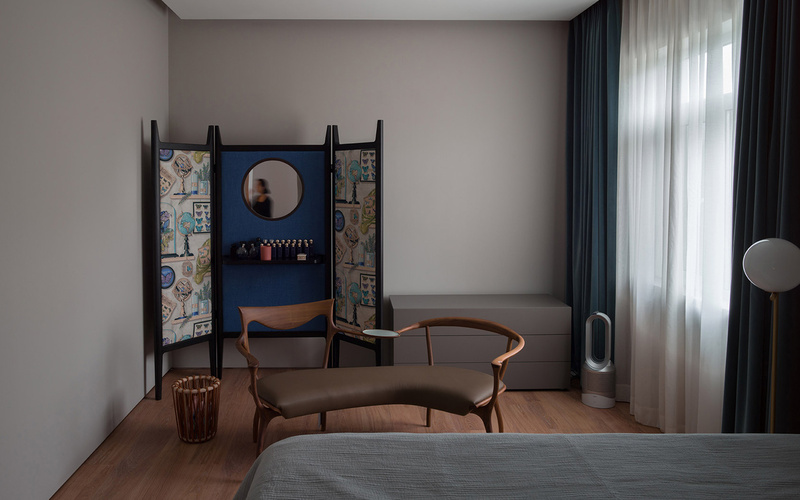 The private rooms of the house for sleeping, bathing, studying and reading are purposefully hidden from prying eyes, on the contrary the public areas of the house are completely open and connected to the inner garden. In addition, a series of sliding doors provides additional sound insulation for privacy and recreation. 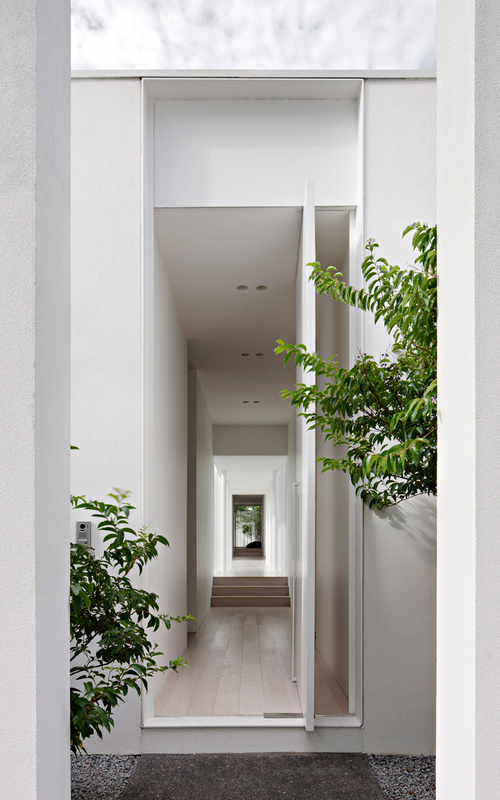 The front entrance door gives an accent to the empty white facade, which like a canvas captures the shadows from a large oak tree in the street. 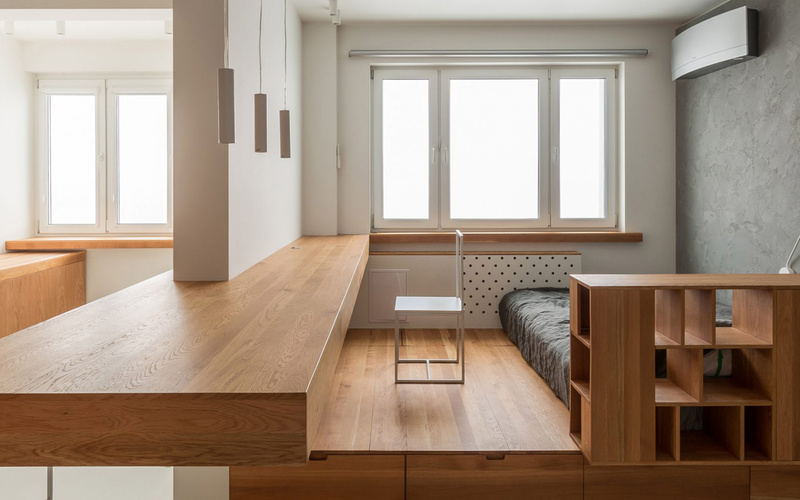 Architectural studio Ruetemple created a minimalist interior for a small Moscow apartment of forty square meters, focusing primarily on the organisation of space and ergonomics. 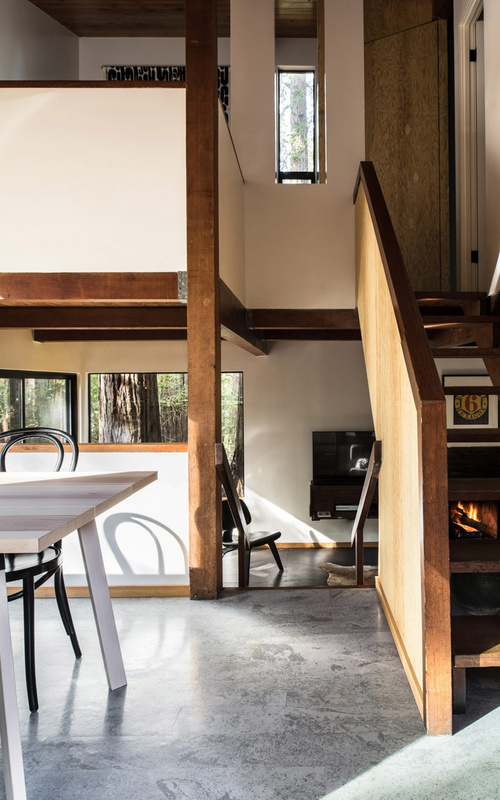 Instead of erecting walls, the architects used simple zoning techniques to get a kitchen, living room, bedroom and work space in one open space. All storage systems are completely hidden from the eyes. 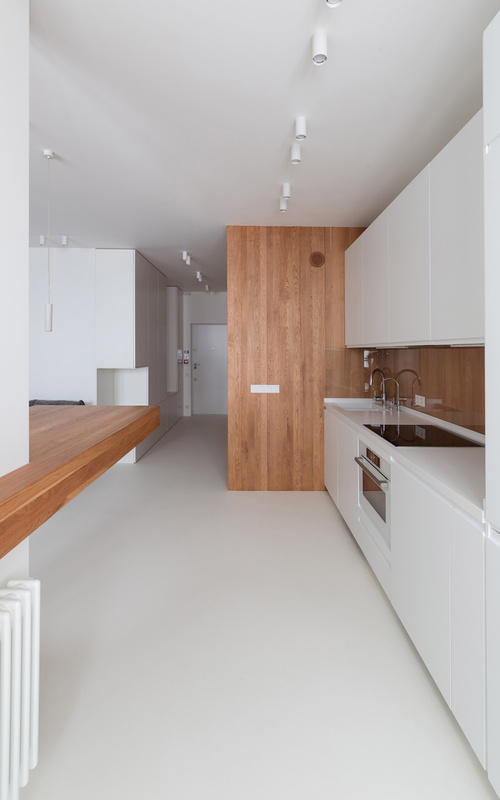 Built-in furniture from the oak board, as well as the table top, which performs a working and dining table, against the white walls look organically.